On the go or traveling and want to smudge but don't want to bring a bunch of supplies? 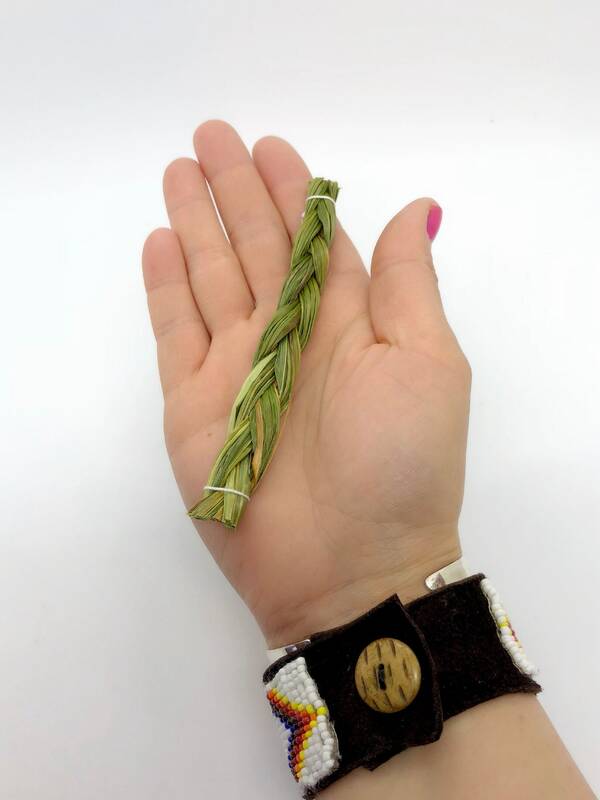 This travel size sweetgrass braid is a perfect option. You will receive one sweetgrass braid approximately 4-5” in length. This sweetgrass grows wild on Native American reservation land. Hand harvested in the traditional Native American way with offering and prayer.